“We started as a group of diligent people that had a unanimous vision to serve a common noble cause. With immense support from the dean, we gradually flourished into such an industrious team with a tangible impact, within and around our periphery, at such a wide radius.” – M. Marwan Dabbagh, a fifth year medical student and BLS instructor. 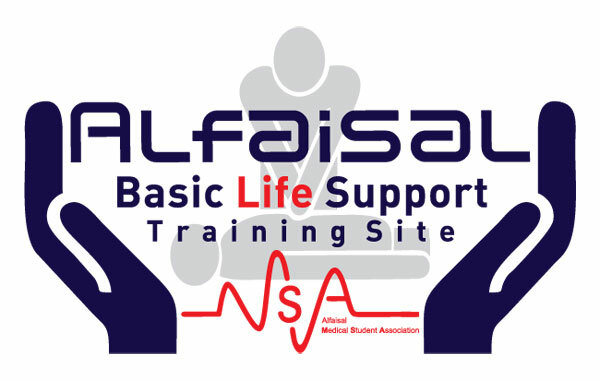 The team of Alfaisal Basic Life Support Training Site celebrated their Contract Renewal as an internationally recognized training Site under KFSH Life Support Centre and the American Heart Association. The new contract will be valid for the period (2016-2018) in hope to crown two more years with an ample more success and achievement. The ceremony was held by Prof. Khaled AlKattan. He awarded the BLS instructors a certificate of outstanding achievement for their high performance in teaching life support skills to over 400 Alfaisal students, faculty members and security staff; in addition to several students and staff from other institutes like Riyadh Dentistry and Pharmacy Colleges, apart from community awareness events as well that reached more than one thousand community individuals. From his side, Dr. Khaled expressed his immense pride and gratitude to the team and described them as one of the few very successful student-run projects in the college, not just for being successful, but more importantly for having such a tangible effect on the college and community by spreading life saving skills which is the essence of our noble career, further flourishing the college’s reputation and external influence, and bringing monetary income to the college while offering the courses at the lowest possible costs. He added that it is impressive how all that is being done while maintaining the highest standards of professionalism and exceptional teamwork dynamics. The team expressed their gratitude to Dr. Khaled for his continuous and unlimited support, without which this project would have just been a dream. – Taught at least 10 courses. – Certified at least 66 individuals as BLS AHA Providers. – Devoted a minimum of 75 working hours.